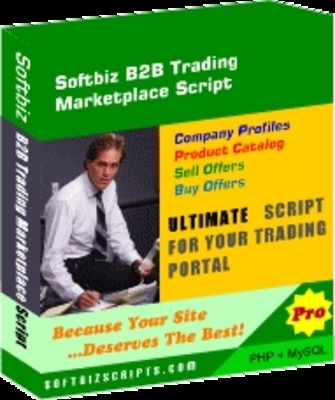 Softbiz B2B trading Marketplace Script is a wonderful solution to launch your own global trading site. Script is packed with HIGH END features to provide a very sound foundation to your trading portal site. Script offers great earning potential. Fully customizable colors and graphics of the site make this script very special. * Script parameters are highly configurable through script admin panel. * And lot more...You can see Full feature list here.